Abbie is currently an SMSC leader within an all through academy, who received the first SMSC Gold Quality Mark. With twelve years of teaching experience in both independent and state schools, Abbie has gained an outstanding knowledge of implementing the wider community and key principles into school life. Throughout her teaching career, Abbie has led numerous subject areas such as; Primary Art lead, Curriculum Lead, Environment Lead and her most recent project SMSC lead. 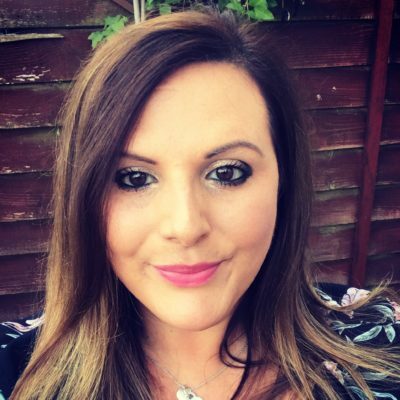 With SMSC being a passion of hers, Abbie has devoted her time to ensuring personal development for all children is a fundamental focus embedded into a child’s learning journey; she has enjoyed achieving this in her current school supporting teachers (and children) from EYFS to 6th form. This creative approach to learning has encouraged Abbie to introduce focus weeks based around the core values of SMSC; she has enjoyed arranging a range of SMSC/ BV/ PSHE/ SRE focus weeks to ensure children are globally aware of the world around them, enjoying finding new ways to tackle topics and raise the profiles in schools. Another one of her many talents has been the training of teachers, Abbie has been mentoring and nurturing prospective teachers with a track record of her trainees passing their qualifications as outstanding. Abbie was nominated as an Outstanding Mentor of the Year in 2018. Within the wider community, Abbie has successfully organised many events such as visits to OPA homes; local competitions and co-organised a Royal Wedding event collaborating with other schools. With her passion and drive to ensure SMSC in the under pinning theme within the school’s ethos, Abbie ensures she is constantly reading the latest frameworks and working in-line with new initiatives.